We have been waiting for their arrival for a while, but finally the ‘official’ Bing has landed on the mainland in Europe. In France to be exact. And this invasion is supposed to be the upset to a dominance of Bing as the major search engine in France. A huge task for the head of Microsoft France’s Consumer Internet Division, Gregory Salinger. In an interview with the French newspaper Le Journal du Net Salinger expresses the high ambitions he and Microsoft have in France: they want to be number one. The choice for France as launching country in Europe is not a surprising choice. France has been a country in which Microsoft has always gone strong, whether it be with Windows or for example Microsoft Advertising where they have a 13% market share and a turnover of 204 million in the first half of 2010. He further explains that Bing is, like Microsoft is used to do, working with partners. In this case for example PagesJaunes Allociné (Yellow Pages), the French National Library and the GIE e-Presse Premium are content partners for Bing. Salinger has set his goals high, we will see what will happen. 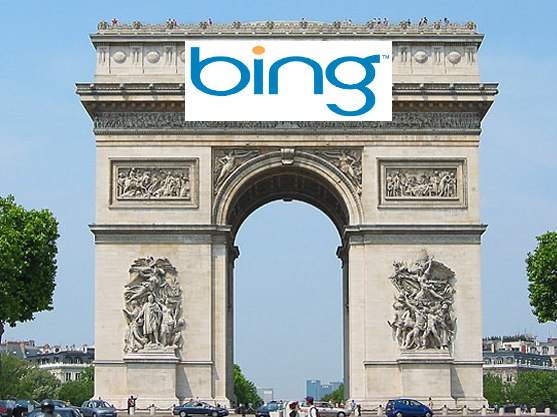 France will be the example for how Bing will try and get into the rest of Europe, so it will be interesting to see what happens there. A recent study showed Bing needs to do some work to get a better grip on Google’s market share when it comes to where people are looking at.